The limestone stele found in the Kom Ombo temple area. 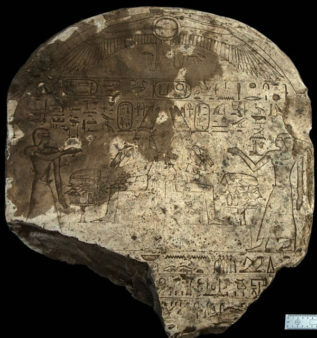 Egyptian archaeologists discovered a limestone stele in Kom Ombo temple area dated back to Early 18th Dynasty or the Liberation war period. 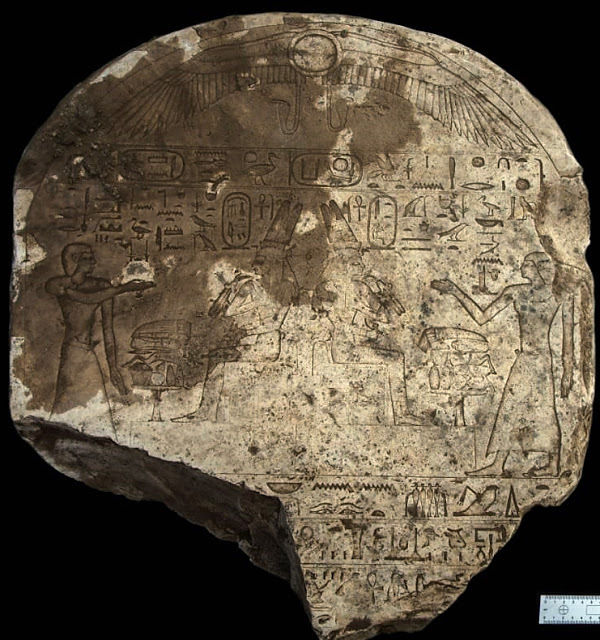 Dr. Mostafa Waziry (Secretary-General of the Supreme Council of Antiquities) said that the stele has a scene in the upper lunette shows two persons making an offering to Queen Tetisheri and Queen Ahmos-Nefertari. The stele shows Queen Tetisheri titles as “Mother of the King” and “Lady of the Two Lands”.